Alexion has gained FDA approval for Kanuma, its treatment for the rare disease lysosomal acid lipase (LAL) deficiency. Alexion says Kanuma (sebelipase alfa) could eventually bring in more than $1 billion in annual sales, helping it to sustain its growth in the rare disease field. The drug follows close behind another new Alexion rare disease drug, Strensiq, which gained FDA approval in October for paediatric-onset hypophosphatasia (HPP), a potentially fatal bone disease. The new drugs broaden Alexion’s portfolio, which until now has rested on Soliris (eculizumab), a treatment for two rare and life-threatening diseases. Combined sales for its use in Paroxysmal nocturnal haemoglobinuria, and atypical haemolytic uremic syndrome helped it generate sales of $2.23 billion last year, but the company needs to add new products to its portfolio to maintain its rapid growth. Kanuma treats LAL deficiency, a chronic, progressive, inherited condition caused by the absence of the LAL enzyme which breaks down certain lipids; without it, these fats accumulate in organs leading to fatty liver disease, cirrhosis and liver failure. The US regulator granted Kanuma breakthrough therapy designation in 2013, specifically for use in infants, where the condition is known as Wolman disease. The condition presents around 2-4 months of age as a rapidly progressive disease, and patients rarely survive beyond the first year of life. 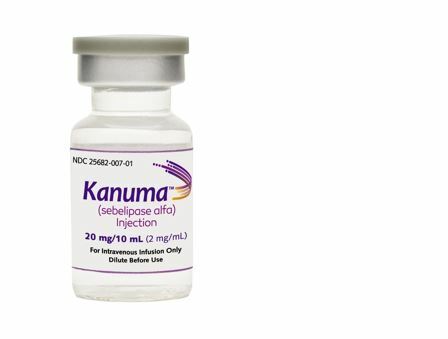 The FDA’s CDER evaluated the safety and efficacy of Kanuma in an open-label, historically controlled trial in nine infants with rapidly progressive Wolman disease and in a double-blind, placebo-controlled trial in 66 pediatric and in CESD, the adult form of the disease. In the trial in infants with Wolman disease, six of nine infants (67%) treated with Kanuma were alive at 12 months of age, whereas none of the 21 infants in the historical control group survived. In the trial in CESD patients, there was a statistically significant improvement in LDL-cholesterol levels and other disease-related parameters in those treated with Kanuma versus placebo after 20 weeks of treatment. The FDA had been due to rule on the drug in September, but asked Alexion for more information on the chemistry, manufacturing and controls for the drug. One of the reasons for this was the novel manufacturing process used to produce the enzyme – genetically engineered chickens. These ‘GE’ chickens carry the rDNA construct which produces the rhLAL protein in their egg whites, from which the protein is then extracted. The FDA wanted longer to probe the process, and used both its human and veterinary health divisions. Alexion says the GE chickens are used only for producing the drug substance, and neither the chicken nor the eggs are allowed in to the food supply. The US price of Kanuma will be eagerly awaited by analysts and other industry watchers. Alongside treatments for cancer, hepatitis C and other specialist areas, the price of rare disease drugs have been attracting lots of criticism in 2015. Alexion’s shares fell in October when it announced an annual average price of $285,000 for Strensiq, well below the $400,000 analysts had been expecting. 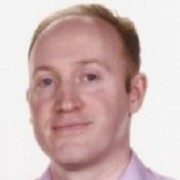 Despite this lower-than-expected US price, Strensiq has already been rejected in draft guidance from England’s cost effectiveness watchdog NICE. The drug is priced at £366,900 ($552,000) in England, and Alexion will now have to enter pricing negotiations in order to change NICE’s mind. While Alexion has yet to announce Kanuma’s US price, analysts at Barclays recently forecast an annual cost of $375,000. However given Strensiq’s lower price, Alexion could set Kanuma at a similar level.